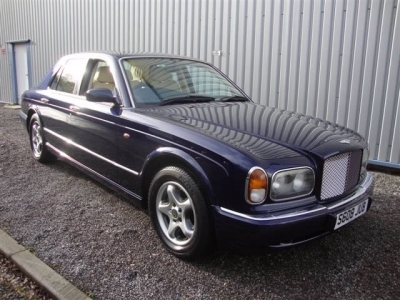 Our parent company, Classiccarshop UK Ltd, from time to time sells clients cars on consignment! Please e-mail us at for details of our excellent sales package! 95% of the Cars we sell are our own cars in stock, and carry an in-house warranty. Recently to comply with the sale of goods Act we have had several issues that we have had to rectify due to Third Party’s misdescribed vehicles from private or unknown sources. From the 1st of May 2018, we will only take Cars on a consignment basis that we have sold previously to clients, or Cars offered By reliable sources whom we both know and trust. Our standard commission has always been 20% plus VAT off the final selling price, which includes all storage, insurance, and full website and magazine marketing from our chosen and proven list. All extra pre sale costs or repairs ( if any) to comply with the sale of Goods act are charged to the client. We are ONLY interested in top cars with provenance like the ones we own and stock. The Classic Car Shop is committed to ensuring that your privacy is protected. Should we ask you to provide certain information by which you can be identified when using this website, then you can be assured that it will only be used in accordance with this privacy statement. The Classic Car Shop may change this policy from time to time by updating this page. You should check this page from time to time to ensure that you are happy with any changes. This policy is effective from 01/01/2018. Whenever you are asked to fill in a form on the website, you will need to tick the box to give your specific consent to the transmission of the information. This information is not stored on the website, it is not used for direct marketing purposes, and is deleted when no longer required. We will not divulge, sell, distribute or lease your personal information to third parties under any circumstances. What a lovely gentleman makes a real change in this day and age. Would you be kind enough to send more pics front on... and the inside including the dash board etc. Absolutely fantastic, the car is exactly as described I am well impressed thanks. Stephen’s delivery was on time professional and very attentive pleasure to deal with. I am sure we will do more business in the future. I cannot allow her off my property unless sold. 100k to me is hard earned and deserved, you deal daily with 500k cars with a blink of an eye, i do not. Bless you Martin for your interest and care, i have never dealt with a classic car dealer before and you are truly a gentleman. 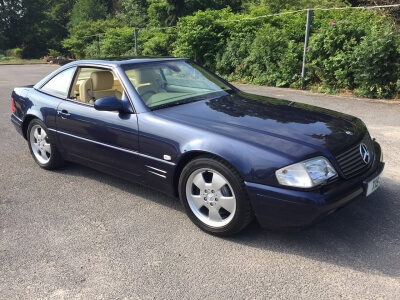 Car arrived safely (virtually wrapped in cotton wool) and is a real pleasure to drive – my old 320 was nice but this reminds me of the enjoyment of my old 1990 500SL. One disappointment was that the “hot” weather caused the almost all hardtop roof lining to come unstuck from the hardtop – we’ll get it fixed before I put the hardtop way in storage. Once again many thanks for your patience with all this. Best wishes to you your family and your colleagues. Have today sent money for car. It should reach you tomorrow. Please let me know if it doesn’t arrive. It was really nice meeting Peter. I could have talked shop all day with him. Such a nice person and a talented restorer who loves what he does. Looking forward to seeing the Vauxhall again and taking it for a long drive. Delivery when convenient for you, but it would be helpful to have advance notice because away in motor caravan quite often. Thank you so much the car looks amazing! A first class job thank you so much! If you ever need anyone for a reference (you most likely don’t because it speaks for itself) please give them my name. Peter has done a superb job and you can see the attention to detail. Thank you again and hope to do business again soon. You will be pleased to know that your cheque has arrived here. Thank you. Dennis and I would like to re express our gratitude for your understanding of our predicament over this last 12 months and for your subsequent patience and kindness in handling this affair for us. Be warned, if we ever find ourselves within striking distance of The School Garage we will invite ourselves in to shake your hand in person. I am delighted with the Sunbeam and have experienced some excellent drives to familiarise myself with the car. Thank you and your splendid mechanic, Wil, for sorting out initial gremlins. The vehicle has been much admired and I am most grateful for your expert attention. This week’s car was a simple choice, to be honest, given the number of people gathered around to admire it’s almost new condition. Austin Healeys have become very much sought-after by collectors and driving enthusiastsw orldwide, and this particular car must be amongst the most desirable on the market! That’s right – it’s currently for sale! And let me tell you why. First registered in 1961, it is an Austin Healey 3000 MK2 BT7. With triple SU car burettors and overdrive gearbox, it is an original “matching number” example, with left hand drive, and a valuable Factory Heritage Certificate. Not only that, it has been uprated to Fast Road Specification, with upgraded brakes & suspension, sports exhaust, oversize tyres and a works hardtop. Baffled by all that technical stuff? Let me put this simply. It’s the real deal! And having had only 3 owners from new, with only 29,000 miles on the clock, and with an unrepaired body, I challenge you to find a better example anywhere, let alone on our lovely island! WE PAY TOP PRICES For the Very BEST Examples of all CLASSIC CARS. NO AUCTION FODDER PLEASE, WE ONLY PURCHASE TOP EXAMPLES, SIMILAR TO CARS WE SELL FROM OUR CURRENT SUPERB STOCK. ALL CARS MUST HAVE HISTORY and PROVENANCE like the examples we sell. WE ARE NEVER BEATEN ON PRICE For THE BEST EXAMPLES !! Instant CASH payment and nationwide collection by covered Lorry. Formerly a farm house up until 1890 This superb barn, measuring 65' by 25', nestles in approx 4 acres of panoramic Cheshire countryside, off a small country lane (via a main road). Approved for water and electricity, the building is in perfect structural condition and now has full planning permission in place for 2 fabulous 2 bedroom holiday cottages. For full details contact Martin Daly on 07767 617507. Total restoration, mint example and very rare. Quote ref: NR114. 1957 Maico-Letta 250 (Rolls-Royce of Scooters). Black metallic with full black leather and black piano wood. Massive factory spec, one previous owner, 26,000 miles only, FLRSH. Original mint example. £32,950. Supercharged grill and vents available on this vehicle. (number plate available by separate negotiation). 2008 Landrover Defender 90 County HT SWB 2.4 Diesel. 2004 (54) Range Rover Vogue (HSE SPEC) TD 6. 1952/3 Saurer 4 MH Swiss Artillery Tractor. 1935 MG PA/B Special Supercharged Racing car. Wanted! Sports racing cars in superb condition with FIA papers and good provenance/history, eligible for all top historic races such as Classic Le Mans. 1922 Citroen 5CV Cloverleaf very rare 7.5 HP model. 1925 Citroen Cloverleaf 5CV 7.5 HP Engine. 1931 Bentley 8 Litre Saloon. 1924 Singer Two Seat, Open Tourer with Dickey Seat.